I got this thought when I looked at this photo of an Ilyushin Il-106 plane. Since maximum thrust is required only occasionally, does it make sense to have two large engines that operate all the time, and two smaller engines which are turned on/off only as needed? Will this system result in overall cost savings for the operator? What are the engineering implications of this system? Can the two smaller engines be electric? Of course, if all four engines are of equal size, then it probably won't be possible to turn off one pair of the engines [think of quad-engined Airbus A340 or Antonov An-124]. Update [14-Jun-18]: This same thought occurred to me again yesterday, and I didn't remember that I had already written it here. Got here after some quick searches. Think of ARM's big.LITTLE architecture. Will something similar prove to be beneficial from an engineering perspective for civil aviation? Imagine a new A340 widebody plane that's smaller than the current one, and uses a pair of large engines and a pair of small engines. At take-off and during climb, all four engines run at maximum or near-maximum power. 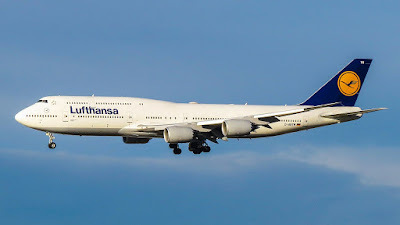 When the plane starts cruising at its cruising altitude, either the two large engines are turned off [and the smaller ones continue to run], or the two smaller ones are turned off [and the larger ones continue to run]. It's even possible to imagine that at cruising altitude the smaller engines are run at full throttle, while the larger ones are powered to only a small level [or the opposite of this - larger ones are run at full throttle while smaller ones to only a small level]. This is somewhat analogous to the concepts of dynamic frequency/voltage scaling in microprocessors. None of these exact values can be specified at this point. Only real-world calculations can provide proper answers. However, the important point here is that this idea, if it works, can partially provide the traditional redundancy/safety benefits of quad-engined planes, without the full baggage of higher costs that have unfortunately made beautiful and extremely safe aircraft such as the Airbus A340 out of fashion today. Just imagine that at cruising altitude when only two larger engines were being run, one of the larger engines turns off due to a malfunction. The plane senses this unexpected shutdown and immediately/automatically turns on the corresponding smaller engine at full throttle, to somewhat compensate for the loss of thrust on one side. This scenario looks much better/safer compared to if a single engine shutdown happens on a twinjet like the A350 XWB, with the airplane left with only one working turbine. If this concept works, then a natural evolution that engineers should evaluate is analogous to the architecture used in MediaTek's Helio X30 SoC - Max.Mid.Min. Planes such as the Antonov An-225 or the Boeing B-52 Stratofortress which use six and eight engines, respectively, might benefit from carrying three different sizes of engines on each wing. Of course, if architectures used in electronics work in aviation, then it'll be possible to have a new, quad-engined Boeing 747 flying once again in the future, with the same beautifully-shaped body that it has always had.